OHMMMMGEEEE, ya'll. I have so much stuff to blog about that I'm about to burst. I'm like a child. It's sad. I shouldn't be this excited about blogging. Seriously. This is why people make fun of me. 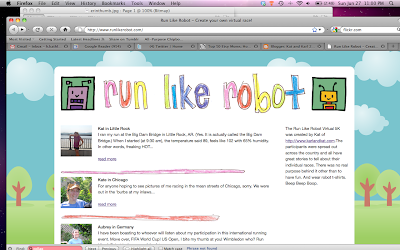 First, I MUST SHARE the results of the Run Like Robot Virtual 5K. 1. 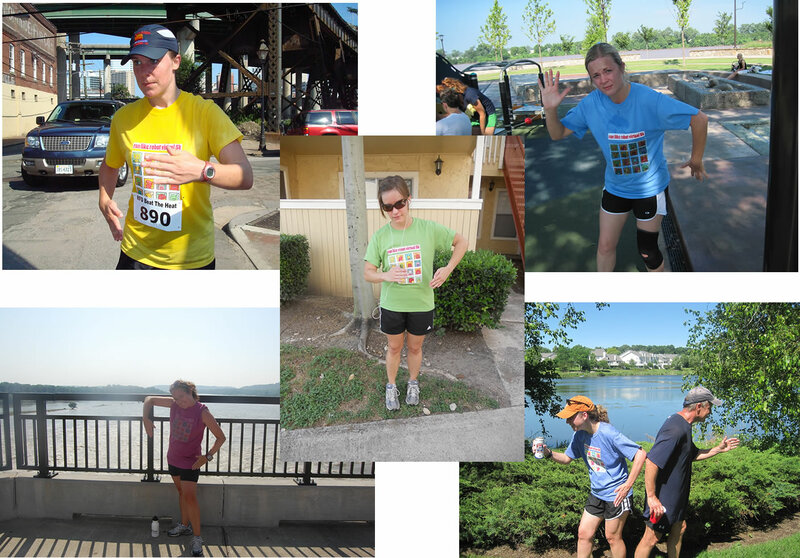 It's super hot for a 5K mid-June. Pick cooler temperatures. 2. Um... making iron-on tshirts - not so successful. Will have someone, um, professional do the printing for us next time. 3. Planning to put up results in a fun, creative way the week of family vacation and Nate's birthday... not so smart! 5. Some of us, without prompting, will actually pose like robots! These were my favorite photos of the bunch, I can't lie. Without further ado, here are the results! I have to say it was quite the thrill sending out the shirts and getting everyone's pics and stories. We have lots of different tales and I hope you will enjoy looking at them all. There are a few more that will be added as I receive them. Oh, yea, and you know it had to have it's own robot website! I LOVE how lots of people posed like robots in their pics! I'm excited to participate in the next one! Dang it! Why didn't I think to pose like a robot? Good times!